Everybody is born with a certain amount of stem cells, specifically, “adult stem cells.” This number may be thought of as a type of “bank account”, from which each person may make “withdrawals” throughout his or her lifetime, as needed. However, not all bank accounts are created equal. To continue with the analogy, some people are born rich, while others are born poor. Most people, however, may be thought of as “middle class.” This fact helps to explain why some people are able to enjoy health and longevity despite very unhealthy lifestyles, while other people may enjoy neither robust health nor longevity despite healthy lifestyles. In other words, some people are able to “spend” their stem cells more extravagantly than others, simply because they have more to spend. Most of us, however, fall somewhere in the middle, where both the length and the quality of our lives may be influenced to some degree by our choice of lifestyle. Environmental factors also play a key role in determining how rapidly one’s “bank account” of (adult) stem cells is depleted. However, even under ideal circumstances, stem cells continually diminish with age. Utilizing stem cells is like going to the ATM machine. Depending upon how you live your life, and whether you were born with a large or a small bank account of stem cells, you either may or may not be able to withdraw from your account. If you were fortunate enough to be born with a large amount of stem cells, then you might possibly be able to smoke and drink and eat unhealthy food and never exercise, and still live to a ripe old age, because regardless of how many stem cells you expend, there are still more to be spent. On the other hand, if you were born at the opposite end of the spectrum, with a small amount of stem cells, then an unhealthy lifestyle will have a more immediate and detrimental impact upon the quality and length of your life. This is known as Nature’s Law of Conservancy: the less stem cells that exist in your “account”, the more stingy the ATM machine becomes in distributing the contents of that account. Most people, however, are born into the stem cell “middle class”, which is to say that lifestyle choices can often make a noticeable difference in determining health and longevity. When someone has a large number of stem cells in the bank, the ATM works very quickly and efficiently. 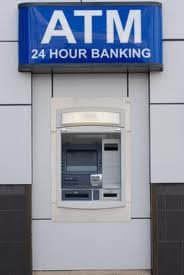 But when the bank account is almost empty, which ordinarily happens in the latter years of life, the ATM machine does not distribute the stem cells as readily. In biological terms, this is because the division rate of the cells has slowed considerably. 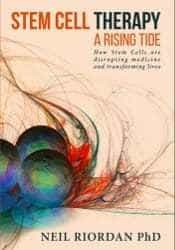 Simply changing the doubling time of stem cells from 24 hours to 72 hours can make a 90-day difference in the amount of time required to reach a “critical mass” of cells that are required to heal a wound. Michael Andreeff, M.D., Ph.D., a professor in the Departments of Blood and Marrow Transplantation and Leukemia Cancer at M.D. Anderson, has described cancer as a “never healing wound”; in some cases, the doubling time of the stem cells may never be fast enough to “catch up” and heal the wound. This is why the incidence of cancer increases with age. After childhood cancers (which arise due to genetic factors or to overwhelming environmental exposure), the incidence of cancer drops significantly until around the age of 40, when it starts to increase, shooting up dramatically around the age of 50, and then falling again around the age of 65. When someone has fully depleted his or her stem cell reserve, the only possible way to get more stem cells is from an alternate source. This is where stem cell therapy comes into play. Salamanders are a supreme example of stem cell billionaires. Salamanders have a seemingly unlimited supply of stem cells, as their “bank accounts” are virtually incapable of being depleted. If you were to look at the blood of a salamander under a microscope, you would see that all of the red blood cells (RBCs) are nucleated. In other words, all RBCs of a salamander contain nuclei, unlike human RBCs, which are not nucleated. This is why salamanders can regenerate entire limbs and humans cannot: every RBC in a salamander is a functional stem cell, floating around everywhere throughout the salamander’s body. In humans, by contrast, our RBCs cannot replicate themselves once they have migrated out of our bone marrow. 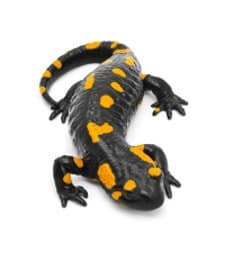 As long as the salamander is still alive, its ATM machine is fast and generous in distributing as many stem cells as may be needed for any task. Although humans are not salamanders, the ability to regenerate entire limbs nevertheless offers a powerful example of the possible applications and implications of stem cells. 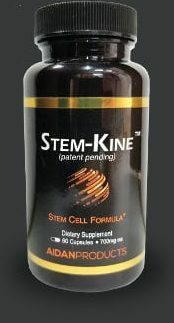 Practically as well as theoretically, an enormous, mostly untapped, potential exists in the field of stem cell therapy.